Behold a few selections from our Super-Modular Accessory System, the world's most innovative and thoughtful utility-cycling storage schema. 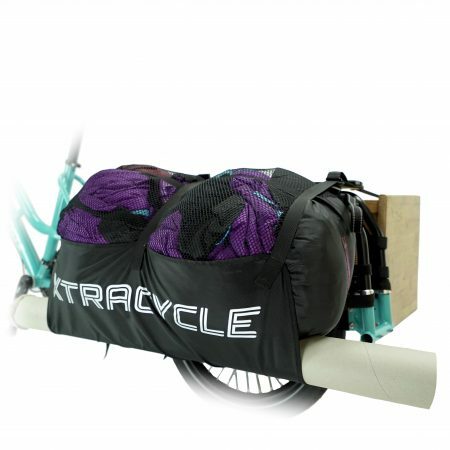 Up front, keep things handy with our PorterRack and PorterPack, a must for any Xtracycle setup. Perhaps some heavy-duty-ready SlingSets and U-Tubes? Haul all kinds of stuff in back with our CargoBay bags. For safely carrying kids, check out our Junior Co-Pilot Passenger System. We’re always adding cool new accessories, so check back often. PorterRack: Forget baskets. This generous front rack mounts to your bike’s head tube—vs. the fork—so it doesn’t affect your steering. Ingenious! Slap a stack of XL pizzas on that baby and roll on. PorterPack: To go on top of the PorterRack, we designed an easy-open, feature-rich bag to stash all your stuff in. Handy! Yes, you could fit a few medium pizzas inside, with a Frisbee on top. Buy these two together for maximum utility: Rack & Pack. Snug your bulkiest, most unwieldy fardels up into a cargo burrito with these handy storage slings. They come in pairs like saddlebags and, if strung from a helicopter, could be used to lift a beached whale to the safety of deeper waters. (A small one. Theoretically.) Sling low. 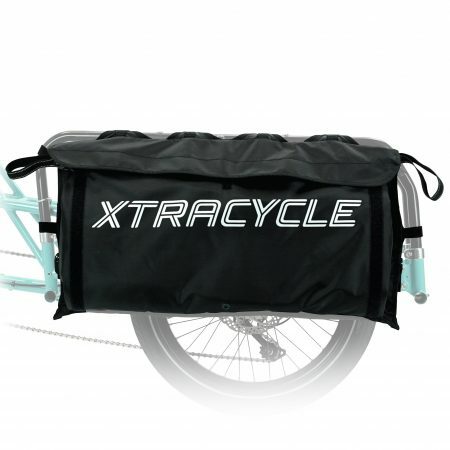 Adjustable, aircraft-grade aluminum, sorta U-shaped, these things look like wacky handlebars but are in fact the support system for your loads—be they groceries, houseplants, slop buckets, or the front wheels of towed bikes. It’s a simple, elegant way to cradle cargo and doubles as a passenger footrest. 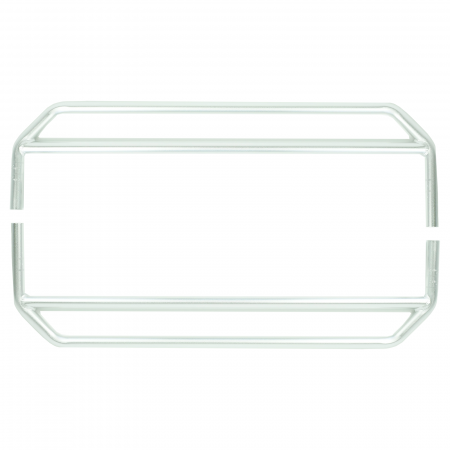 Run your U-Tubes narrow or wide—or keep them stashed in a CargoBay until you need them. Get some. 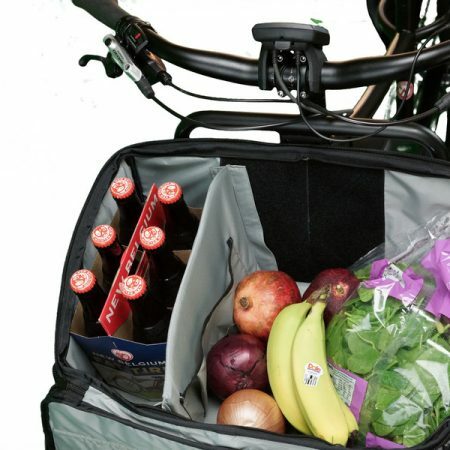 These big honking bags flank and hang from the FlightDeck in back and are perfect for hauling groceries, backpacks, and other non-huge items with ease. Work beautifully (and symmetrically) in pairs but sold individually. Bag it. Our modular Junior Co-Pilot Passenger System is designed to solve bike-configuration puzzles that include the coolest things on earth: kids. Why all the raves about e-assist?